Temple of Antoninus and Faustina at the Roman Forum. 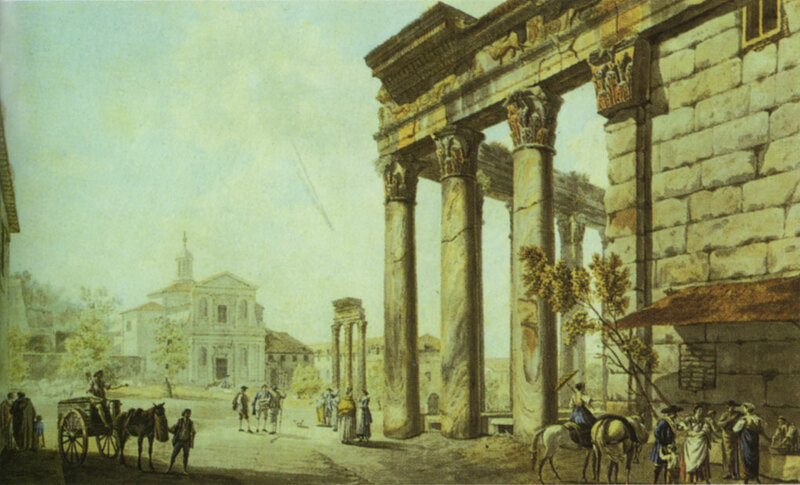 Painters: A. R. L. Ducros (1748—1810) and Giovanni Volpato. © Photo, text: Klod Moatti. ANTICHNYI RIM, per. s frants. I. Ionovoi. — M.: OOO “Izdatel’stvo AST”: OOO “Izdatel’stvo Astrel”, 2003, s. 97.